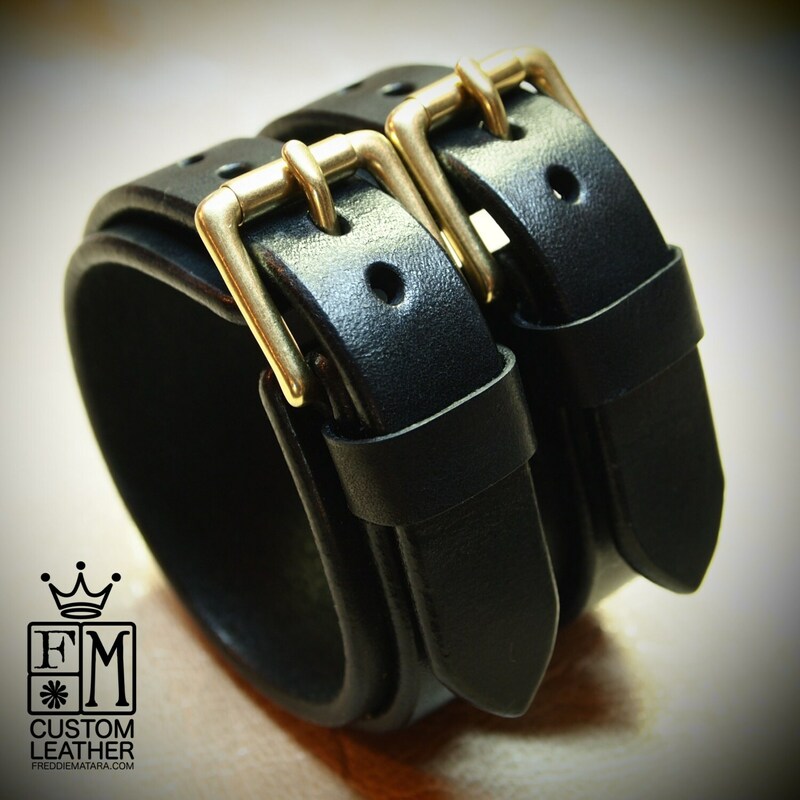 This 2-1/8" wide black bridle leather double strap cuff is edged smooth and polished up right! 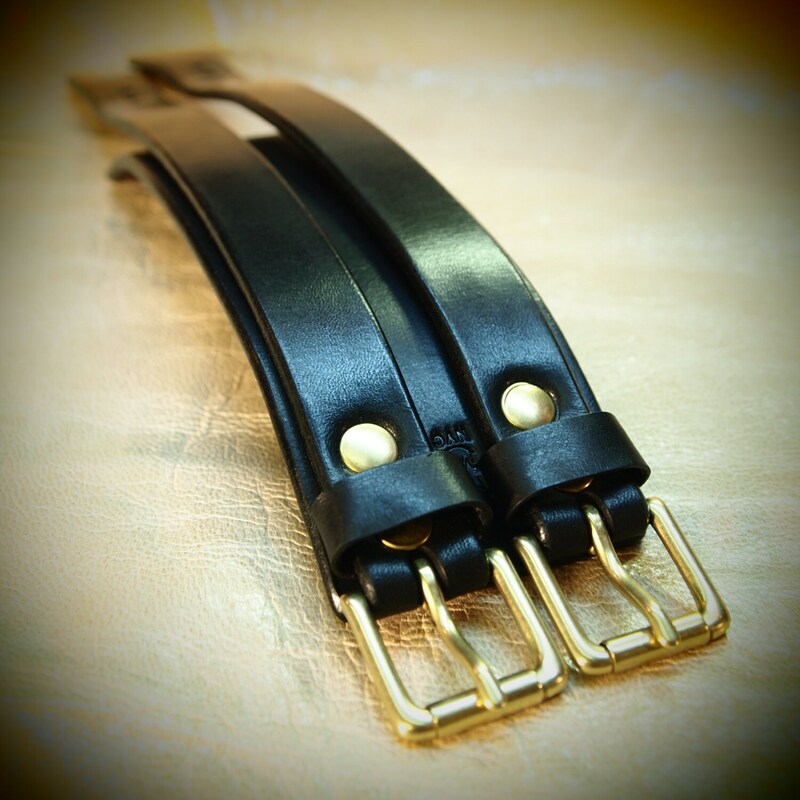 Solid brass buckles and hardware make it luxurious! 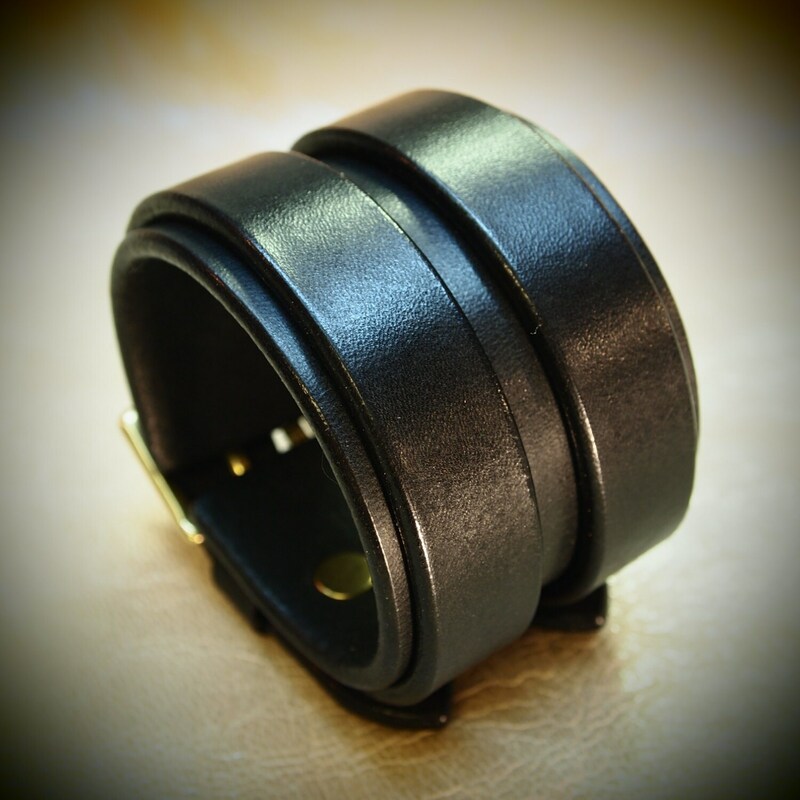 A handsome cuff that will break in quickly and last a lifetime! I'll need your wrist size for this cuff. 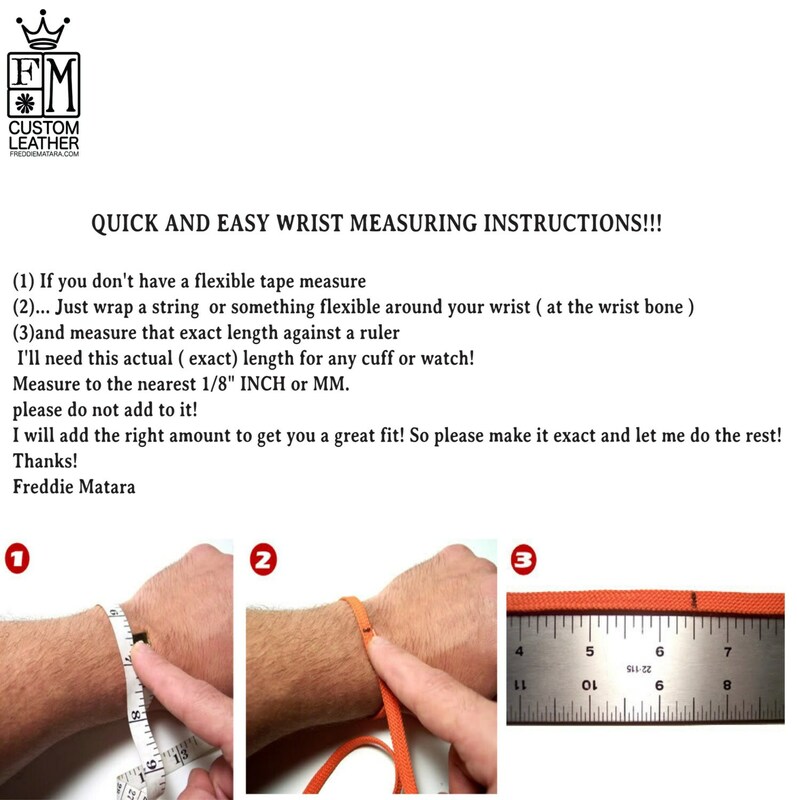 Instructions are in the pics.